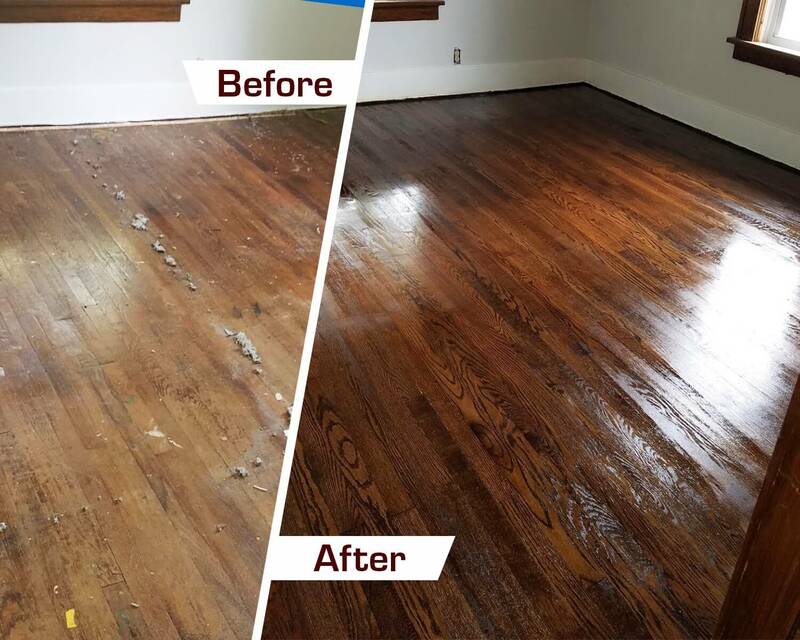 When it comes to professional hardwood floor refinishing in Novelty, OH, Fabulous Floors Cleveland is the local team that gets the job done right. Our many years in the hardwood refinishing industry give us the experience and expertise you need to transform your hardwood floors into how they used to look when you first got them. We’ve developed a hardwood refinishing process that actually works. We’ll begin by removing any of the existing carpets that may have been covering the hardwood floors. We then use our powerful sanding equipment to sand your hardwood floors. This eliminates your scratches and dents from the floors. Our sanding machine is virtually dust-free! You won’t have to leave your home while we are there, or clean up a big mess. Once that is complete, we’ll stain your hardwood floors with a color of your choosing. Once the stain is dry, we’ll apply a long-lasting polyurethane finish to your hardwood floors to protect them against any future damage. You are guaranteed to love the results of our hardwood refinishing in the Novelty area. We stand behind our work and will treat your hardwood floors as if they were our own. We are a GREENGUARD Certified company! This means all of our materials and services have passed strict environmental standards and are completely safe. Contact us today to start your next wood floor refinishing project in Novelty! We look forward to working with you.